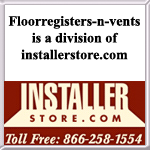 Wicker polished brass floor registers for your home are made with a plated steel faceplate. The decorative vent cover is protected with a lacquer against corrosion. 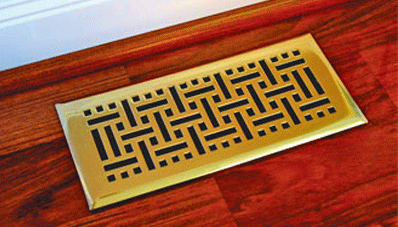 The brass floor register has a simple installation process, just drop the decorative vent cover right into the floor opening and you're done! These brass floor registers can hold up to 200lbs and are a sturdy and affordable choice to make. The decorative vent cover has a plastic resin damper though which will let airflow in or let it out, and will not rust. Tip: When ordering these brass floor registers, please note that hole size of 4 x 12" would need a 4 x 12" register. 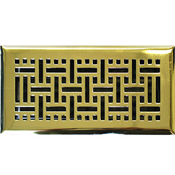 Check out our large stock of other decorative vent covers which come in an assortment of finishes. This brilliantly made brass floor register is a timeless addition just waiting for you, order them today.